This November Paul John single malt whiskies arrived on our shores, and also recently featured at this year’s Whisky Live. Brought in by The Whisky Store – by the same people behind industry pioneers Quaich Bar – the whiskies from the Goa, India-based distillery has recently won a slew of awards that would make the mouths of any distillery, water. Master blender Michael John and general manager for exports Madhu Kanna were recently in town for the launch of their two expressions, the unpeated Brilliance and the lightly peated Edited, so we grabbed them for a quick chat over a couple of drams. [SS] What was the inspiration behind the distillery when it first started? 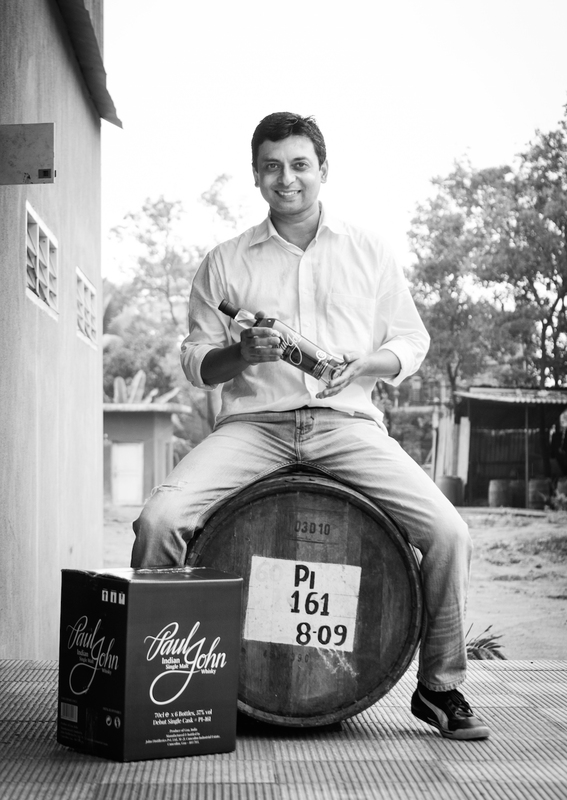 [Michael John] India is a massive whisky market and we produce a lot of whisky. Due to the low purchasing power in India, most Indian whisky makers – in order to get a product to the people – opt to make blended whiskies. But Paul John chairman Paul P. John had a vision and wanted an approach that was entirely different to Indian whiskies of the day. He wanted a focus on quality rather than quantity. He visited many distilleries around Scotland and, when he came back, he started planning. He then made me in charge of setting up the distillery. [SS] India is a large place, so why set up in Goa? [Michael John] Two factors – water and environment. Paul John whiskies have been picking awards in international competitions around the world. The distillery itself landed the Asian Distiller of the Year 2015 and the Gold Award 2015 as awarded by Wizards of Whisky. The Paul John Brilliance and Edited both landed a Silver Medal at The Spirit Selection Awards in 2015; The Spirits Business Awards 2015 gave the Edited a Gold Medal in its ‘Super Premium Category’, while the Brilliance picked up a Silver Medal in the ‘Premium Category’. At IWSC 2014 the Brilliance landed a Silver Outstanding Medal, while Edited scored a Silver Medal. Jim Murray in The Whisky Bible 2015 gave the Edited and the Brilliance a score of 96.5 and 94.5 respectively. To be honest the environment is against us even in Goa, so the only thing was in our mind then was water. Goa was known for its quality water – Goan water is sweeter and cleaner. So that was where we decided to set up the distillery. If you see the location of the distillery, it is set in between the mountains, and we have a lot of streams coming down from the mountain that join into a river. We have in-house wells that draw water from the river. We also believe in rain harvesting. [SS] What is the thinking behind the various different Paul John whiskies? Most distilleries either focus on unpeated or peated whiskies, but you have both. [MJ] We actually worked our way backwards. When Chairman Paul P. John visited Scotland he met many people there, including whisky writers, and he brought back all that feedback. With that we decided we wanted a traditional style of whisky, yet something that’s unique, so that our whiskies are entirely different from other whiskies, including other Indian whiskies. First we chose a specific profile that would define the distillery. 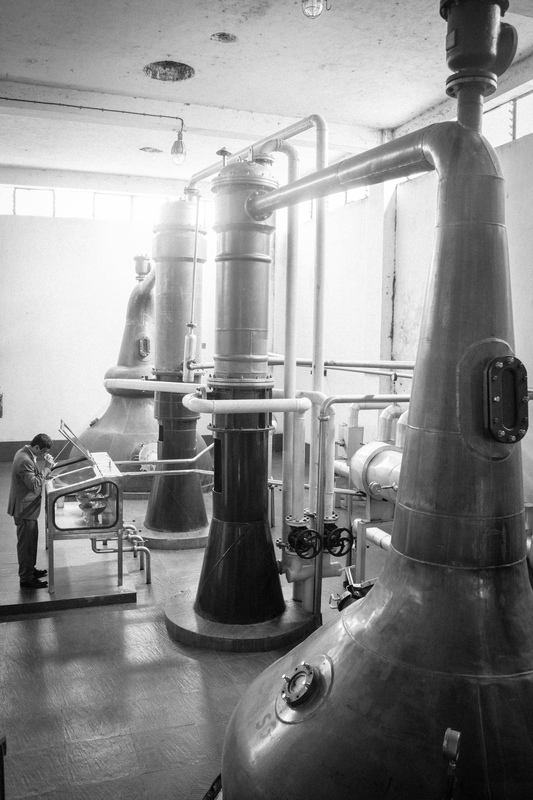 Initially we only wanted to create unpeated whiskies, as we thought most of the Indian market preferred that. So we laid aside only a small quantity of peated whisky – using Islay and Aberdeen peat – in barrels. But those came out very well – we tried some sampling tests before we launched our expressions, and to our surprise, everyone liked the peated whiskies as much, if not more, as the unpeated ones. That gave us the confidence, so we thought why not launch our peated whiskies as well? That became our limited edition Select Cask, which we launched seven years after our distillery opened in the European markets. It was a hit. Paul John Whisky uses carefully selected six-row malted barley grown at the foothills of the Himalayas, which has a lower yield than traditional English barley. [SS] Tell us more about your distillation process. [MJ] Whisky making is very simple yet complex at the same time. For Paul John we meticulously follow the standard process you see in all Scottish distilleries. But for the Scots when it comes to the distillation process they actually don’t have any real control because the spirit safe itself is locked. As you know in Scotland they do the infractions, or separate the cuts, by the strength of the distillate – it is mainly automated. We do the cuts with our senses, by tasting it. With the foreshots we check every minute; it is the same with the tails. I taste till I feel it is good enough to go into the cask for aging. This is how it has to be done. With machines they cannot sense. [SS] Share with us your views on the global whisky market and where you think it is going. [Madhu Kanna] We are finding that the world is beginning to move away from Scotch whiskies. Till about a couple of years back it was Japanese whisky, until people found that their prices were starting to slip beyond their reach. Then tropical whiskies like Kavalan has started come up strongly. People are welcoming that as well. A whisky drinker today is more knowledgeable. He’s more aware of what he’s drinking and he’s open minded. That’s why a lot of whisky consumers around the world are looking to try something different. But there’s still a lot of doubt about Indian whisky in Asia. Interestingly we don’t have quite the same problem in Europe. People there are chasing flavours rather than brands, and hence are open to trying whiskies from different parts of the world. [SS] Where do you see the Singapore market? [MK] Singapore is the gateway for Asia – it is the first Asian country that we’ve set our foot into. It is a perfect place to showcase our brand to the rest of Asia. [SS] You mentioned earlier that when you are introducing your whiskies in Asia there is almost a kind of resistance against Indian whisky. Why do think there’s such a perspective? MK: There’s this saying – Indian made for India. In the case of whisky it has always been about blended whisky, and blending with grain-based spirits. So the world community never had the perception of India making good whisky. That’s what we’re trying to change. [SS] Any new expressions coming up in the near future? [MK] We just launched two expressions – the Brilliance and the Edited – here in Singapore. In the European market we’ve launched the Bold, which is a 100% peated whisky. We will probably bring that to Singapore in the near future. We also do a lot of single casks in the UK, and also sell a lot to independent bottlers. [MJ] Currently 99% of our whisky are aged in bourbon barrels. For obvious reason: India is very hot, and there’s massive extraction from the barrel. We find that bourbon barrels give more elegance because of their tannins. If I use French or any other oak barrel extraction will be too high and the whisky becomes too big or too aggressive. The angel’s share in our part of the world is around 8% per annum; it is around 2% in colder climates like Scotland. Consider this – we currently have some 8,000 barrels in our distillery. Every day I taste from a couple of barrels. I have to revisit the same ones after six weeks – that’s how fast they mature. In Scotland they taste every two years. We’re a relatively young distillery. Our whiskies are just seven years old. We don’t yet know what is the optimum maturation for our casks. It could be eight years, nine years, maybe even 12 years – we don’t know. As of now, bourbon barrels are giving the perfect results. But I’ve also started using alternative barrels, such as sherry, wine barrels, rum barrels and brandy barrels. Hopefully those will come out well. From here onward we will also improve. When I blended for the first time I only had younger whiskies to blend with. Moving forward I’ll have a wider variety to play with. Paul John Single Malts are distributed by The Whisky Store in Singapore and available at selected bars such as Wallich, Jiu Zhuang and Charlie’s Paradiso in Singapore. For retail, Paul John Edited is available at $145.00 and Paul John Brilliance at $135 at The Whisky Store.